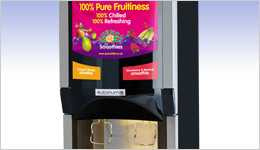 Choose from a range of fantastic looking BIB dispensers. Available for pre-mix or post-mix products in a variety of different dispensing formats. Illuminated displays can be customised for maximum visual impact. Our Mechanical Machines are tough, reliable and keep going for years and years. 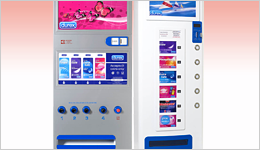 Our Electronic machines offer a wide product choice and great vend flexibility. All models are easy to install and simple to operate. Maximise energy savings with EcoChill or choose Popular for best value. 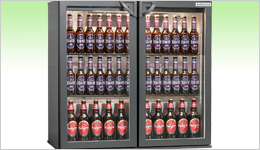 Both ranges of high performance coolers come in three cabinet sizes, in different finishes and with swing or sliding doors. Copyright © 2015 Autonumis Ltd. All Rights Reserved.